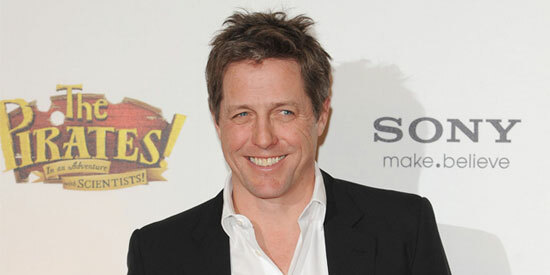 Hugh Grant has become a father for the second time. The 52-year-old actor is "thrilled" after welcoming a baby boy with Chinese actress Tinglan Hong, 33. Hugh Grant has become a father for the second time. The 52-year-old actor—who has an 18-month-old daughter called Tabitha— is "thrilled" after welcoming a baby boy with Chinese actress Tinglan Hong, 33. Confirming the news on his Twitter page on Saturday (February 16), the Cloud Atlas star said: "Am thrilled my daughter now has a brother. Adore them both to an uncool degree. They have a fab mum." It is not known if the actor is still in a relationship with Tinglan. After confirming the birth of their daughter in September 2011, Hugh described their relationship as a "fleeting affair." But he later praised Tinglan, saying: "She is a good person, a nice person; funny, clever, great mother." The Love Actually star, who once dated Gossip Girl star Elizabeth Hurley and socialite Jemima Khan, previously admitted that becoming a father has made him feel like a better person. He said: "[People] said never let anyone know, but the baby period is not that exciting. But I am excited, actually. I thought, well, I’ll bluff through—but very little bluffing has been required. "I like my daughter very much. Fantastic. Has she changed my life? I’m not sure. Not yet. Not massively, no. But I’m absolutely thrilled to have had her, I really am. "And I feel a better person. There probably is some truth that one of our main functions on the planet is to reproduce, because it feels like more of an achievement than it should do."